Do you need a new roof or some repair work? Call our company today for a complete roofing Dorset service. With over 30 years of experience in the business, you can be assured that ProRoofing will deliver an exceptional service for your property. This flat roof is one of the strongest on the market and can last up to 50 years after installation. The joint-free installation and seamless nature of the roof will stop water from entering your property. Fibreglass GRP flat roofs can be moulded to suit a huge variety of roofs and is available in a multitude of colours. The world-famous Kemper roofing system is used in many properties around the world with famous examples including the Empire State Building. The roof is made from a resin-based liquid waterproof system which makes it the best of its type on the market. With a great track record, liquid rubber membrane flat roofs are an ideal investment for properties. They have been in use for over 20 years and have exceeded all expectations in the UK and the USA. Over time, roofs become susceptible to wear and tear or damage from external factors. We provide a complete roof repair service for your property. The team will conduct a thorough survey of your property then we will suggest the next plan-of-action. With years of experience in the industry, we have found that a majority of damaged roofs can be repaired. If we feel that a new roof would be cost-effective, we will suggest this option if there is extensive damage/regular patching is required. Lead is one of the strongest roofing materials and has been used to roof properties for years. We provide a complete lead work service for properties in Dorset. Our company are registered members of the Lead Contractors Association. Before work commences on your property, the team at Pro Roofing will carry out a survey of your roof which will enable us to assess the condition and structure of your roof. 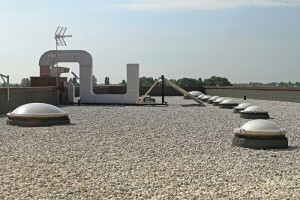 Lead roofing has a specific code which varies depending on the weight and thickness. 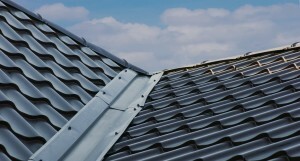 During the survey, we will identify which lead is appropriate for your roof. Our selection of lead sheets can be used to reinforce weak areas in a roof such as the guttering and joints. It can also be used to cover a whole roof if required. The durability of lead sheets means it is ideal for boosting the performance of your lead roof. We have access to lighter lead sheets for intricate areas such as roof flashings. In addition, we also install a range of leadwork, UPVC fascias & soffits and Velux roof windows. Our company provides a complete maintenance and chimney repairs service for your property. Chimneys are highly susceptible to damage as a result of their position on the roof which leaves them exposed to the elements and more. We supply chimney caps to prevent down draughts and increase the flue draw. If needed, we provide anti-bird guards for properties which will stop birds entering your property. If the draw or ventilation of your chimney is not performing to previous capabilities, you will need our flue cleaning service. This will help increase ventilation and draw in your chimney. It will also stop tar and smoke leaks building up. If your chimney is leaking, then we suggest that you contact us immediately as this problem could snowball into an expensive repair bill. We use several methods to rectify and improve chimney leaks. The first is to administer lead flashings to the area in which the chimney meets the roof. We also install a chimney lining that is waterproof within the chimney stack. However, if the chimney’s brickwork has either decayed or dislodged, our team can replace the brickwork or re-point the chimney stack. Should your chimney stack be damaged as a result of bad weather/winds, we may suggest a complete replacement. ProRoofing is the leading supplier of slate and clay roof tiles for all of your Dorset roofing needs. Most domestic properties have pitched roofs with clay or slate tiles. Clay tiles weigh less than their slate counterparts and can be installed in a quick fashion as they require little structural work. You can expect all of the same benefits as slate tiles when you choose our range of clay tiles. We also install slate tiles for Dorset roofs. At ProRoofing, we stock a wide range of slate tiles to suit every property with many sizes, colours and textures available. Slate is a great investment as it is not affected by temperatures and is resistant to alkalis, acids and chemicals. To support your roofing Dorset project, we supply scaffolding works. With ProRoofing, you will never experience delays with your roofing project as you will not have to wait for external contractors to set-up and dismantle scaffolding works. Contact ProRoofing on 01202 518763 today for a complete Roofing Dorset service.